“Prima facie the judgments reflect a very perfunctory and hasty disposal of the cases which has deeply troubled our judicial conscience. Would it be permissible for this court to shut its eyes in the matter or does the available statutory regime and law make available any possible option for intervention at this stage? We are conscious that no order adverse to the interest of an accused person (who stands acquitted) or a victim can be passed without hearing him/her or behind his/her back. However, to exercise judicial power, a prima facie view has to be recorded to ensure whether such intervention could be justified and appropriate. For this reason, prior to issuance of notice, we have undertaken a prima facie examination of the statutory provisions as well as judicial precedents”. The Bench observed that the complaints disclose horrifying crimes against humanity. The complaints also point out that male members of one community were singled out for elimination. “This suggests that these were no ordinary crimes, or ‘simple’ murders (if ever a murder could be termed as ‘simple’). Treated as individual cases, while the culprits got away scot free, everybody else, the police, the prosecutors, even the courts, appear to have failed the victims, and, most importantly society. Perhaps, had these terrible offences in 1984 been punished and the offenders brought to book, the history of crime in this country, may have been different. We are of the view that if we fail to take action even now, we would be miserably failing in our constitutional duty as well as in discharging judicial function”, said the Bench. The Bench however made it clear that all the observations made in the order are based on a prima facie consideration and nothing contained in the order is a final view in the matter which would be taken after hearing the respondents. I. Let this order be registered as a petition under Section 401 of the Cr.P.C. II. Issue notice without process fee to private respondent nos.1 to 4 as well as the State respondent No.5 to show cause as to why the judgment dated 17th May, 1986 in SC No.32/86 premised on the composite chargesheet dated 25th March, 1985 based inter alia on the complaint dated 18th November, 1984 of Smt. Sampuran Kaur (clubbed with FIR No.416/84, P.S. Delhi Cantt. ), be not set aside and a retrial/fresh trial be directed by this court in exercise of its revisional powers under Section 401 of the Cr.P.C. III. Issue notice without process fee to private respondent nos. 1 to 4 as well as the State – respondent no.5 to show cause as to why this court not direct fresh/further investigation into the complaint of Smt. Sampuran Kaur by an independent agency as the Central Bureau of Investigation. IV. The address of the complainant – respondent no. 6 shall be ascertained by the State and the same shall be filed in the Registry within two weeks from today. V. Subject to the compliance with the above directions, court notice without process fee shall be issued for the service of complainant – respondent no. 6. VI. Compliance with the above directions shall be got ensured by the Commissioner, Delhi Police. VII. A copy of the composite final report dated 25th March, 1985 filed by the Delhi Police in SC Nos.10/86, 11/86, 31/86, 32/86 and 33/86 (placed by CBI on the record of Crl.A.No.1099/2013) and a copy of the judgment dated 17th May, 1986 in SC No.32/86 shall be placed in the file along with the present order. VIII. For the reasons set out above, we appoint Mr. P.K. Dey, Advocate as Amicus Curiae in this matter. IX. The Registry shall ensure that a complete paper book is made available to the Amicus Curiae. X. 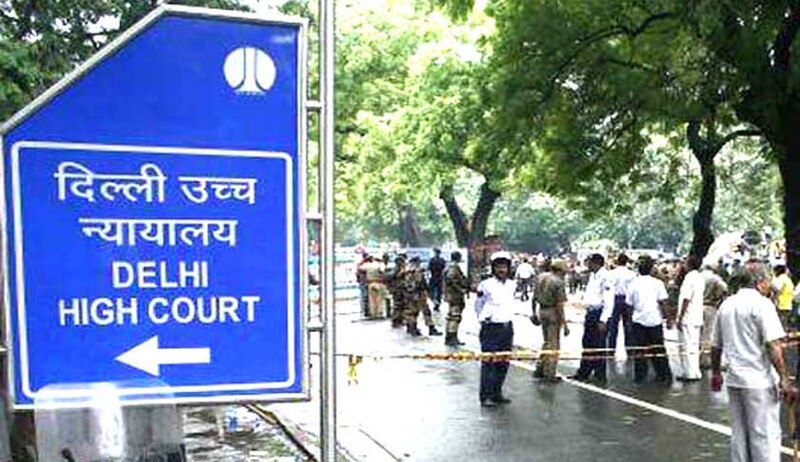 It shall be the responsibility of the Delhi High Court Legal Services Committee to pay the fees of the Amicus Curiae which are quantified at `50,000/-. XI. All notices shall be returnable on 20th April, 2017.